Our team is dedicated to ensuring that our community has the cleanest and safest water available. We have the experience you can depend on for both emergency service calls as well as routine maintenance. Simply give us a call at (207) 654-2771 anytime and let us know how we can serve you. Pine State Drilling offers years of operational expertise. Our affiliation with local, national, and international associations means we meet or exceed the standards for drilling operations and projects. Having clean, healthy water is not a luxury. It is an absolute necessity! Do not trust just any business to handle your water needs. Ensure the job is done right the first time around. Give us a call today for your free estimate at (207) 654-2771. Just got my six-ton Geo unit running, and it’s awesome! No more humid or hot nights in the summer, or oil trucks or deliveries – ever. Thanks to awesome service from Pine State Drilling…. 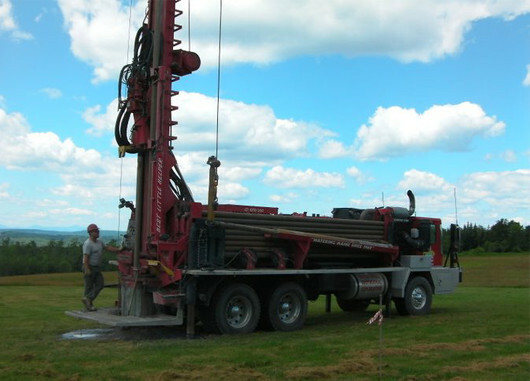 Pine State Drilling experts are here to serve residential, commercial, and municipal clients throughout Maine. We welcome your business-related inquiries at any time, and we are ready when you need us to install or repair important aspects of your water well, pump, geothermal, water filtration unit, and more.